We provide expert installation of roofing shingles which are one of the simplest and most affordable roofing options on the market today. This makes shingle roofs the most popular and common option for any project from a new build to a cedar conversion. Many homeowners are converting their cedar roofs to laminate shingles for a cost-effective way to preserve the appearance and value of their homes. 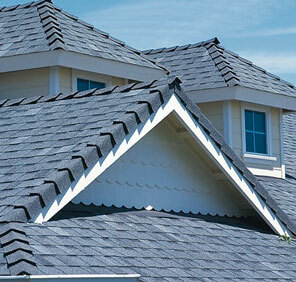 Laminate shingles give a more varied, contoured visual effect to a roof surface. 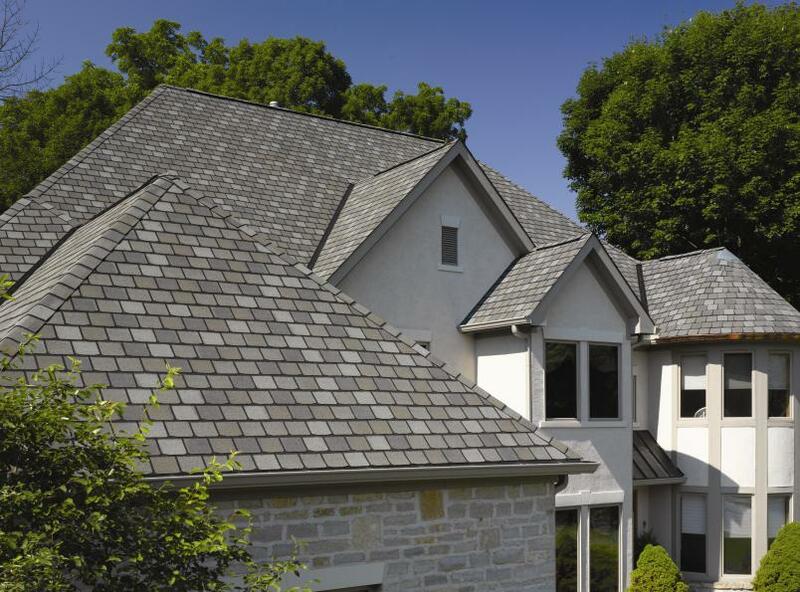 Fiberglass asphalt shingles are available in warranties up to 50 years or limited lifetime. Cedar Shake and Shingle roofing uses traditional, time-honoured natural cedar wood to give your home a natural and organic appearance and strong aesthetic appeal. 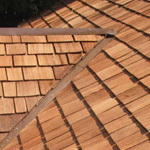 A cedar roof has a distinctive appearance that many people find appealing. A shake roof tend to have a rustic look which is well suited to the West Coast, and meshes well with a variety of architectural styles. Cedar Shingles have a similar look but more refined and less rustic. One big advantage to a cedar roof is durability. Cedar withstands hail and heavy storms. It is an ideal insulating material as it has natural insulating properties that keep homes cool in the summer and warm in the winter. It also allows the roof system to breathe freely while keeping your home or structure dry. Metal roofing materials offer homeowners a long life-span and greater durability than natural wood and asphalt shingles. 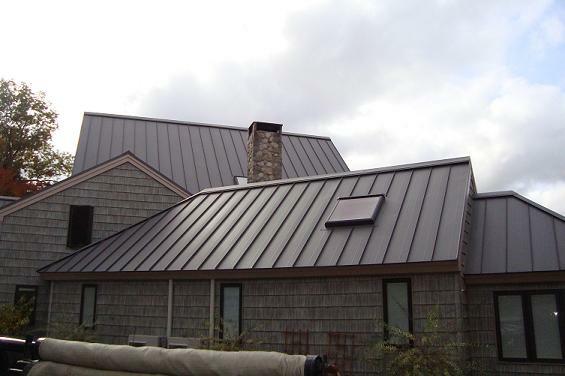 Metal roofing saves money in long-term maintenance cost depending on the metal roofing system used. Many people use the term tin roofing or metal panels when in fact the common material used for metal roofing is painted steel. Our roofing company installs many different types of metal roofing panels but the most common is a snaplock type of roofing system offered by Westform and Westman Metals. Ask us about the different metal systems available. We also work with contractors to provide complete exterior renovation and roofing services when needed. 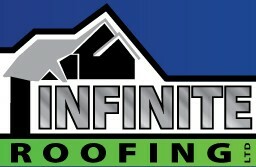 Infinite Roofing Ltd. has worked extensively with torch-on roofing systems. Our most common flat roofing system that we use involves two layers of polyester and fiberglass reinforced SBS membrane. 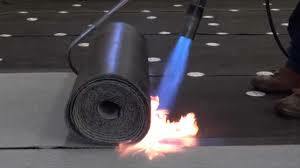 The first layer is mechanically fastened to your roof deck providing a fire-barrier. The second layer is then applied using heat which welds it to the first layer. Although this roofing system is our recommended choice, there are many other commercial flat roofing systems that we are qualified to install to meet your roofing requirements. Infinite Roofing Ltd. offers full roof inspections with written reports which identify any potential leak problems due to typical wear and tear due to aging and weather. By watching for minor issues, major roof repairs can be avoided or delayed. Even a very small roof leak will eventually damage the underlying insulation and roof deck, adding to the cost of eventual re-roofing. Water can find its way unnoticed through the attic and walls to the rooms below while causing damage to ceilings, electrical systems, and could result in insurance claims and/or litigation. During our roofing inspections, we pay particular attention to any issues that may develop with hardware such as plumbing vents, air vents, drains, duct work and HVAC units. Any potential leak should be identified and solved by a qualified roofing contractor such as ourselves to keep your roof in the best condition possible. Infinite Roofing Ltd. recommends specific maintenance tasks be scheduled for completion on all roofs on a regular or semi-annual basis. All roofing systems especially asphalt shingles, cedar shakes, and torch-on roofing require maintenance to remove accumulated debris, clean drains and gutters, flashings, replace old caulking, and undertake repairs as required. Regular maintenance on your roof can increase the longevity of your roof’s life while keeping the warranty intact. 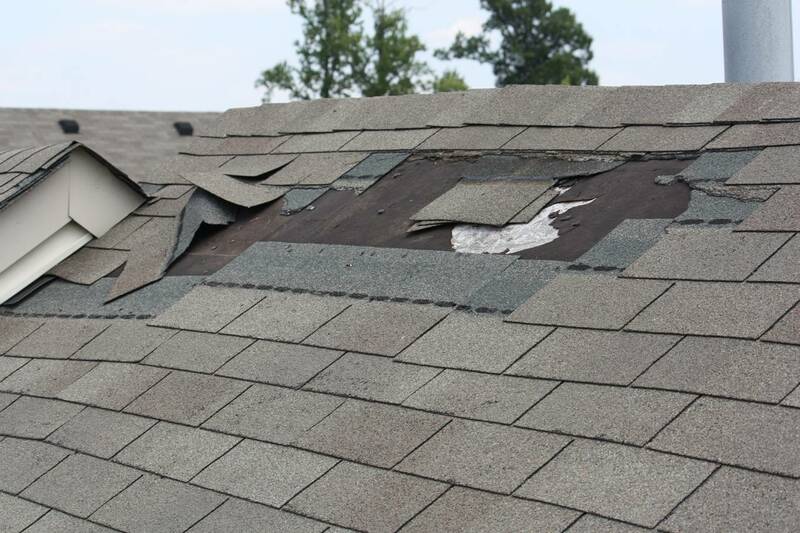 Regular roof maintenance can also help identify potential leak issues that can be solved by roof repair. We also work with contractors to provide complete exterior renovation and roofing services when needed.